Dealing with invoices, payments, taxes and payrolls is time-consuming and tedious so we’ve looked at the best accounting software for Mac users in 2019 suitable for freelancers and small businesses. Decent personal accounting software makes it much easier for you to do what’s important – focus on actually running your business. It also makes life a lot easier when it comes to entering all the important figures into your tax filing software when tax season comes around. When combined with some of these excellent payroll solutions on Mac, you can easily run a small business without the need for a team of accountants or payroll experts. Here then is our selection of the best accounting solutions for Mac users in order of ranking. QuickBooks Online is one of the most widely used accounting software packages by accountants worldwide with over 5 million users according to the developer Intuit. What makes QuickBooks our top pick is that it’s advanced enough for professionals while still easy enough to use for beginners. It can also save you some serious money in optimizing your tax liabilities. QuickBooks claims it saves users an average of $3,534 per year in tax savings. It’s also the only serious Mac accounting package which gives you the choice of either using it on your desktop or in a browser. Even better, for a limited period you can get 50% off QuickBooks Online. Intuit has had a turbulent relationship with Mac users due to its flagship product Quicken for Mac lagging behind the Windows version for years although it has now sold the Mac version. Fortunately QuickBooks has a much better reputation and the Mac version is exactly the same as the Windows version. QuickBooks is aimed at both self-employed people and small businesses. The situation with QuickBooks on Mac is a bit confusing at first glance because there’s both a desktop only version QuickBooks 2019 For Mac (currently 33% off) and QuickBooks Online (currently 50% off) which works both in a browser and online. Users in Canada can get an even bigger 70% off QuickBooks via the QuickBooks Canada store. We’ve focused on QuickBooks Online here because it offers the option of both using it in the Cloud or on your Mac desktop. It also has many other advantages over the desktop version not least that you can run it on any platform including Mac, PC and mobile. You can see a comparison between QuickBooks Online vs QuickBooks For Mac Desktop below. 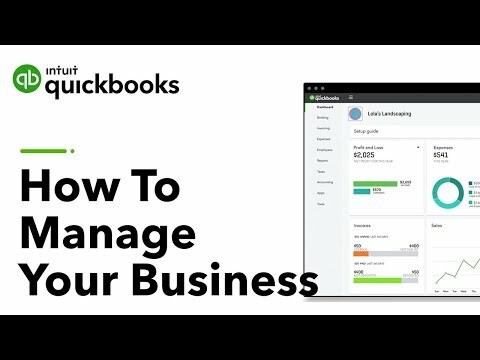 QuickBooks has been in the accounting game a long time and has perfected a very clean, slick interface that makes it very easy to see your overall finances. Some of the highlights of QuickBooks Online include automatic downloading of bank transactions, automatic scheduling of invoices, one click sales and tax reports and multi-user access. Giving access to accountants on PC or swapping files with Windows users is now very easy in QuickBooks compared to previous desktop versions which required file conversions. There are no problems if you want to view or edit QuickBooks on iOS either – QuickBooks for iPad and QuickBooks for iPhone are available for free although the functionality and features are quite limited. QuickBooks integrates with your bank so that you can make payments online and download transactions automatically. However, as with all financial software that connects to your bank, be aware that this doesn’t always work well even if in theory it’s supposed to. This is usually because banks are frequently changing security settings and third-party app support although you should have no problems with major institutions such as Chase, Bank Of America and Wells Fargo. The danger is that QuickBooks may report that a payment has been made to a client and yet further investigation with your bank reveals that the bank wire hasn’t actually been made. If your business accepts payments via third-party services such as PayPal or Shopify, QuickBooks also integrates with popular payment platforms so that all your payments and invoices are automatically logged. This includes invoicing and QuickBooks also offers free invoice templates even for non QuickBooks users. QuickBooks makes it very easy to track expenses so that you can download them and submit sales tax information to other tax filing apps too. Most recently QuickBooks now offers add-ons in the form of Payroll support which allows you to pay employees with free direct debit transfers directly from the application. You can actually pay federal and state payroll taxes direct from QuickBooks without any need for other tax software as well as print and file W2s. This however comes at an extra cost of $19 per month and then $2 per employee per month on top. There’s also a more expensive Full Payroll services for $49 per month which includes one-on-one tax consultation from Intuit which will pay any penalties on your behalf if taxes aren’t made on time. There are three different versions of QuickBooks Online – Simple Start, Essentials and Plus. All plans include the ability to send and track invoices, expenses, manage estimates and sync bank accounts but Essentials allows you to manage and pay bills and generate instant profit and sales report. The Plus plan allows you to track inventory and prepare 1099s. You can currently get up to 50% off all plans for up to 3 months. Even better, if you’re based in Canada you can get 70% off QuickBooks. In summary, QuickBooks is a solid professional accounting solution out there for small businesses on Mac. If you’re looking for an accounting tool that works in a browser and on your Mac desktop with online banking integration, you should look no further. You can get started with QuickBooks now for free to see what you think for yourself. If you’re looking for an accounting solution that’s unbelievably easy to use on your Mac, you can’t do much better than FreshBooks. FreshBooks bills itself as “accounting for the non-accountant” and as soon as you start using it, you can see why. FreshBooks has been around since 2003 and is now one of the most widely used accounting solutions in the world with over 10 million users in 120 countries. What’s made it so successful is that from automatic sending of invoices, tracking time and logging expenses, FreshBooks does all the hard work for you so you barely know it’s there. For small businesses or freelancers in particular, FreshBooks is affordable, accessible to all and very well thought out. If you work in a team, FreshBooks makes it easy to share invoices and expenses with your accountant or colleagues, share files and follow-up payments. You can even setup online credit card payments for clients so that you get paid quicker and get notification confirmation when customers have received and read your invoice. Another bonus for Mac users is that you can use FreshBooks on any platform since it’s hosted in the Cloud. This is definitely a plus when it comes to Macs because most accountants and other finance professionals still use Windows. Sharing files and accounts with them is therefore extremely easy. FreshBooks uses SSL encryption which means any information you send or receive from your Mac is protected so your data is safe and also constantly backed up by FreshBooks. FreshBooks is very reasonably priced with plans starting at $13.50 per month. That gives you unlimited invoices and estimates, time tracking, credit card payment facility and expense importing from your bank account. The closest rival to FreshBooks is QuickBooks (see review below) but FreshBooks offers many features for free which are only available in premium plans with QuickBooks. These include Billable Hours, Expense Categorization, Team Roles, and Simultaneous Users. There are also features in FreshBooks such as Project Collaboration and Proposals which aren’t even available in QuickBooks. You can try FreshBooks free for 30 days with no credit card required to judge for yourself. If you choose not to subscribe to a plan, you can still access your invoices, expenses and other data so you won’t be locked out. Xero has been designed specifically to work on Apple devices and claims it’s the closest thing you’ll find to an official Apple accounting software. Xero promotes itself as “Beautiful Accounting Software” and there’s no denying it looks like an accounting app that’s been tailor-made for the aesthetics of OS X and macOS. The main dashboard of Xero is one of the most useful features as it conveniently summarizes the most important accounting data of your business in a snapshot. You can easily switch between tabs such as Accounts, Payroll, Reports, Contacts etc and within each tab, you can easily move around the different widgets so that you can customize it how you want. The Accounts tab also provides a very succinct and clear overview of the status of your invoices. Apart from good looks though, Xero offers some serious advantages over other accounting software on Mac. One of the most valuable additions to Xero has been payroll accounting. Although we generally advise using a separate payroll software, Xero’s payroll system is extremely simple to use and constantly updated to keep apace of payroll law changes in each US State (note that a few States are still pending support by Xero). If you don’t like Xero’s payroll feature however, it also offers third-party integration with professional payroll software Deputy although it has now dropped support for Payment Evolution and Simple Pay. Invoicing is very straightforward in Xero with slick customizable templates, convenient automated payment reminders and “PayNow” integration with PayPal so that you can get paid on receipt. This makes it easier to get paid faster, track payments and generally automate invoicing as much as possible. If you don’t want to use Xero’s invoicing system, it is also integrated with almost 100 other third-party invoicing services. Mobile integration is one of Xero’s strongest features and we like the way users can easily issue invoices the moment a job has been completed via the Xero Touch iOS app for iPhone and iPad. 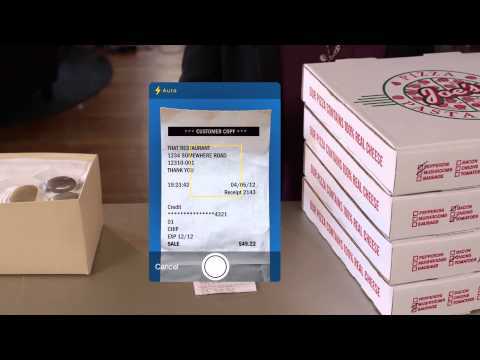 Xero Touch also takes photos of receipts so you can make your business as paperless as possible and with real-time reporting, you can see exactly what employees or authorized users are invoicing for out in the field. There’s even now an app for the iWatch which alerts you to balance changes and new transactions. Xero Pricing is divided into 3 different plans which vary mainly according to how many invoices, transactions and employees you want to add to the Payroll (if any). The great thing about all Xero plans is that you can invite as many other users as you want for free. This is in stark contrast to to most Cloud accounting solutions which limit the amount of users that can access your accounts depending on the pricing plan you’ve got. The Xero Starter Plan starts at $9 a month but is limited to 5 bills/invoices and reconciling of 20 bank transactions but there’s no payroll or multi currency support included. The Standard Plan is $30 per month and allows unlimited invoicing/billing/reconciling and support for up to 5 users. Finally the Xero Premium 10 Plan starts at $70 per month and includes multi-currency support and support for up to 10 users. There’s also the Premium 20 plan for $90 and 20 additional users and Premium 100 plan for $180 per month which supports a maximum of 100 people. Xero is very focused on the small business market and offers various incentives to get people on board although unfortunately, some deals are only region specific. For example UK startups get 50% off Xero for the first 12 months. Xero UK Pricing is also slightly different to the US with plans starting at £10 per month and up to 5 payroll employees for free for 3 months and then £5 month thereafter up to a maximum of 200 people. All plans allow you to manage and submit VAT online but the Standard and Premium Plans allow unlimited transactions and only the Premium supports multi currencies. The only slight downside to Xero is that it’s still a relatively new player in the accounting market and not many accountants use it yet. You can however easily give access to any accountant to view and access your accounts and there’s an official list of accountants that use Xero in the US. Xero also offers an online QuickBooks to Xero conversion service which simply requires you to upload a QuickBooks file and Xero does the rest. Xero looks superb on both Mac and iOS, it’s easy to use and it’s clear that a lot of TLC has gone into it. You can try a 30 day free trial of Xero first to judge for yourself. If you’re looking for a simple, free desktop accounting application for your Mac then MoneyWorks Cashbook could be for you. MoneyWorks Cashbook is a light version of the highly acclaimed MoneyWorks Gold (see review below) for Mac and PC. It features much of the functionality of MoneyWorks Gold but is completely free to use although you need to sign-up for a free online subscription. It used to be available via the Mac App Store but now all MoneyWorks products are only available direct from the developer. If you want a free accounting app for Mac that’s suitable for use in a PC/Mac environment, then Cashbook is ideal as it instantly opens and edits files from either platform. Cashbook supports double entry general or nominal ledgers, detailed reports and even allows you to compile a useful customer database. It’s also setup for taxes in different regions including sales taxes in the USA, GST in Canada and VAT in the UK. MoneyWorks Cashbook gives you a clear overview of how your business is doing with revenue, profit and costs clearly displayed in graphs and charts. The Cashbook version is not really suitable for running a small business and is aimed more at organizations that handle cash such as clubs and societies. However there are different versions of MoneyWorks which are suitable for small business use depending on the needs of your business (see comparison table below). Make sure you read the MoneyWorks features comparison overview before deciding which one you really need. If you just want a simple free bookkeeping software for Mac to use a cashbook and general ledger, MoneyWorks Cashbook is an excellent solution considering it’s completely free. MoneyWorks Gold is a vastly enhanced version of MoneyWorks Cashbook and an extremely powerful accounting software for Mac and Windows. MoneyWorks Cashbook is definitely suitable for small to medium-sized businesses, you can interchange Mac and PC files instantly and it supports multiple users. If you include integration with MoneyWorks DataCenter, you can even have a Mac and a PC user editing the same accounts sheet at the same time on one server (although this costs extra). You can also limit the rights of individual users to edit documents similar as you can with applications such as Microsoft Word and Excel. Even better, your accountant has no excuse not to use it because for every copy you buy, MoneyWorks provide a free version for your accountant to use. It supports most major accounting needs including Cashbook, Accounts Receivable, Accounts Payable, Sales and Purchase Analysis and more. Like the Cashbook version, MoneyWorks Gold also supports a huge number of reports and you can customize the tax rates for your region although some such as GST in Canada and VAT in the UK are already included. There’s a huge price difference between Cashbook (Free) and Gold ($499 or $28.08 per month) and again, we highly recommend you check the Moneyworks product overview to see which one is right for you. To see whether MoneyWorks Gold is right for your business, there’s also a 45 day Moneyworks Gold for Mac free trial. Note that there’s also something in between MoneyWorks Gold and MoneyWorks Cashbook called MoneyWorks Express which unlike Cashbook, includes automatic invoicing but lacks the advanced multi-user functionality in MoneyWorks Gold. 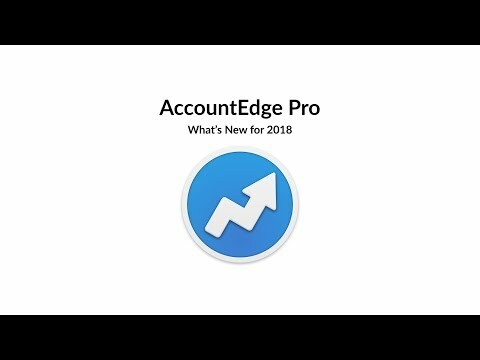 AccountEdge Pro (formerly called MYOB which it’s still marketed as in Australia and New Zealand) has been established for Mac only for over 15 years. Although AccountEdge Pro now feels bit dated compared to accounting software such as Xero and QuickBooks, it’s extremely accomplished and still very popular with small businesses or cash based charities, clubs and societies. AccountEdge Pro is based on double entry accounting and includes inventory management, time-billing and mileage tracking. AccountEdge Pro is well-organized and supports a wide range of accounting features such as Sales & Invoicing, Online Banking (with support for OFX, QFC and QIF files), Invoicing, Reporting and Customer Databases. AccountEdge Pro also takes a slightly different easier-on-the-eye flowchart approach to accounting. Everything starts with AccountEdge Pro’s “Command Center” menu along the top of the interface which divides the application into 7 different areas – Accounts, Banking, Sales, Time Billing, Purchases, Inventory and Card. You can sub navigate through Recent and Favorite sub sections using the menu in the right sidebar. The Chart of Accounts collates all of your accounts in one basic but easy to read windows and includes everything including income, assets, liabilities, expenses etc. You can choose from a variety of Account templates, or create your own list. Another useful feature is support for both Mac and PC users to exchange files and work on accounts simultaneously. This is particularly handy if you need an accountant on Windows to double-check your accounts for you. AccountEdge Pro is also strong on payroll functionality for each US state as it understands the different laws and regulations that vary from state-to-state. The mileage tracking is another feature that AccountEdge Pro does better than the competition allowing you to accurately track distance covered in vehicles owned by your company. Time billing is also very well done with the option of allowing contractors and employees to log into the Time Tracker web app and record working hours which go directly into AccountEdge. This is part of a service known as AccountEdge Connect which costs extra on top of the actual software itself. There’s even an optional web store for online sales which you can sync with the app so that your inventory and accounts are immediately synced. You can extend AccountEdge with add-ons such as the Checkout Point Of Sale add-on, the aforementioned Time Tracker and online store Enstore. There’s also a companion AccountEdge iOS app for iPad and iPhone although it’s very basic. If you use Shopify to sell your inventory, AccountEdge Pro is also integrated with that. On the downside, as already highlighted, the overall look and feel of both AccountEdge Pro is quite dated. The developer Acclivity hasn’t modernized it much since its original release on OS X over 15 years ago. There’s not much scope for customization of invoices either which look a bit amateur for business use. AccountEdge is however one of the few accounting software on Mac that still supports writing and printing of checks if that’s important for your business. If you’re looking for a straightforward accounting software designed specifically for Mac with no fancy features, AccountEdge Pro is definitely worth a closer look. Note that there used to be a cheaper version of AccountEdge called AccountEdge Basic but it seems to have dissapeared although no official statement on it has been made by the developer. You can try a 30 day free trial of AccountEdge Pro to see for yourself. Accounted is a surprisingly good accounting software for macOS that often goes under the radar. Accounted is a no-nonsense, easy to use accounting app which covers all the basic needs of a small business. Accounted is based on a double entry accounting system and has some interesting features such as check printing on your Mac, support for importing from PayPal and the possibility to sync Accounted with Studiometry – a powerful Customer Relationship Manager and one of the best CRM software for Mac available. Accounted is particularly suitable for those companies or freelancers that deal in multiple currencies. It not only supports a wide range of currencies but even automatically updates exchange rates. The reporting features in Accounted aren’t particularly sophisticated or flashy but they’re comprehensive and give a clear balance sheet overview of the state of your accounts. If your business relies heavily on PayPal transfers, then Accounted is an excellent choice due to PayPal syncing which is easy to setup with your PayPal address and works seamlessly. Accounted will import all of your PayPal transactions so you can immediately compile accounts of deposits and withdrawals. Accounted also still supports printing of checks. There’s no online banking support though and all exporting of data is limited to text files. Even though there is QIF importing, there’s no exporting which makes it almost impossible to take your data with you if you choose to move to another application. Accounted is overall, a very accomplished accounting software for Mac that does exactly what it says with minimum fuss, has some handy unique features and is definitely worth checking-out if you’re a Studiometry user. If you’ve been struggling with just using Excel spreadsheets to track your finances, Accounted is a much better, cheap solution. Express Accounts Plus isn’t exactly the best looking accounting software for Mac but for those that don’t need glossy charts and reports, it’s extremely good at what it does. Express Accounts Plus is aimed more at professional accountants enabling you to track sales, record recurring orders and automatically update reports as invoices are paid. The reporting features are particularly good with over 20 different reports to choose from but presentation of them is very basic. Express Accounts Plus also allows you to log-in via the web to update accounts and supports multiple users editing accounts at one time. The web app can be accessed from any device with an internet connection as it connects through an IP address. On the downside, there’s no online banking support, no support for multiple currencies and it’s not customized for different tax regions. Easy Books is a British based, professional accounting software solution with, as the name suggests, a very user-friendly and easy approach to the accounting. If you’re new to accounting or have just started a new business, Easy Books is an ideal way to get started in the often complex world of accounting. Easy Books used to be customizable according to your needs with in-app purchase add-ons after downloading it from the Mac App Store. However, it’s now moved to a subscription model meaning that you no longer have to add functionality to it and simply choose from a pricing plan instead. For example, you used to have to pay for add-ons for Transactions ($79.99), Time Tracking ($12.99), Invoicing ($32.99) and Online Syncing ($32.99) and it soon added up to quite an expensive application. Now you either subscribe to a plan – Bronze ($9.99), Silver ($11.99) or Gold ($14.99) depending on what features you need. If you’re a small business, you’ll need at least the Silver or Gold plan which support customer invoicing and time tracking. Gold also supports attachments and multi-currencies. Easy Books is very easy on the eye, the iOS syncing is excellent and it automatically backs-up everything to the cloud. The iOS app in particular is one of the best and most functional we’ve seen in any accounting application and has recently been updated to allow you to take photos of documents to attach to your accounts. If you need a simple accounting software with specific elements that’s tastefully designed, then Easy Books is worth looking at. However, many existing users have not been impressed by the move to a subscription model and some have felt held “hostage” by the developer over access to their data and need to upgrade in order to receive support. As mentioned earlier, subscription models are an increasingly common way for developers of all kinds of software to fund their work although it doesn’t always go down well with loyal users. Most recently Easy Books has added useful support for adding PDFs and other documents to entries to help with referencing. You can watch how to duplicate and repeat transaction in Easy Books for Mac below which gives you a good idea of the overall interface, functionality and ease of use. If you’re new to accounting and have just started a small business, Easy Books is a great choice. For those seeking online banking integration and advanced accounting features, it will feel a bit limited. GnuCash is a free open source accounting software for Mac which has been around for over 20 years and is still going strong on Mac. Like most open source software, GnuCash is maintained by a dedicated group of programmers and accountants who regularly update the program. GnuCash is quite complex and the interface isn’t exactly refined for Macs but if you’re comfortable with double-entry ledgers and bookkeeping, it’s definitely worth time investing in learning how to use it. It’s also designed to be used not only as an accounting app, but also a budgeting tool with support for stocks and mutual fund accounts. There are many powerful aspects to GnuCash including a Checkbook-Style register, Scheduled Transactions, Reports, Statement Reconciliation, Income and Expense account types and more. You can check out the full list of GnuCash features here but if you’re looking for a free accounting software on Mac, aren’t concerned about a polished interface and have time to learn it, GnuCash is a powerful accounting software that doesn’t cost a dime. Accountek is a powerful business accounting software for Mac users which is available both as a desktop and cloud version. Accountek is certainly aimed at companies and you can use it simultaneously on both Mac and PC at the same time so there’s no problem with cross-platform incompatibilities. Accountek also provides custom-made solutions and implementations for companies so if you’re looking to implement an accounting software across a large enterprise, it’s worth looking into. For very small businesses or sole traders it’s definitely going to be a bit too much. Accountek offers a range of different services starting with the Connected Core Accounting service which costs $499. This is the most suitable for small business accounting and offers an auditable accounting solution but without inventory management or job costing. For the latter you’ll need the Connected Enterprise version which starts at $999. Finally, Accountek offers a cloud solution Connected On Demand which can be accessed securely anywhere but uses a subscription model starting at $45 per month. There’s also support for Payroll customized depending on whether you are in the USA or Canada. Accountek is a very solid, robust enterprise worthy accounting solution for both Mac and PC users although you’re probably best contacting them directly to decide which of their solutions is best for you. You can also try a free trial of Accountek’s accounting software. ZipBooks is an online accounting software and is marketed as a free alternative to both QuickBooks and FreshBooks. The reality is that although it offers a free version, it’s very limited and any serious freelancer or small business would have to upgrade to the Smarter plan for $15 per month to get anything on the same level as QuickBooks or FreshBooks. It does however offer a slightly cheaper, more flexible pricing plan. ZipBooks is aimed at business-owners for invoicing and simple accounting processes so that you don’t need to be an accountant to organize your company’s finances. It’s ideal if you need to regulate cash flows, organize accounting files and use it’s online invoicing software to speed up billing and payment with ease. The free version allows you to do everything you’d expect from a simple accounting software package for Mac such as invoice, track expenses, and generally keep your own books in order for tax season. ZipBooks is a good choice for those that want something to run alongside project management software on Mac because it’s got some pretty good project time tracking and billing tools. You can bill by project, task, staff rate, or a flat amount. You can assign different projects to different team members by checking the box next to their user names. You can start and stop the timer to keep track of time while you work, or add time manually from the “time tracking” tab. There’s also a ZipBooks Safari Extension which enables you to track time directly from your browser. Online banking is supported in ZipBooks although it’s not clear which banks it actually works with. 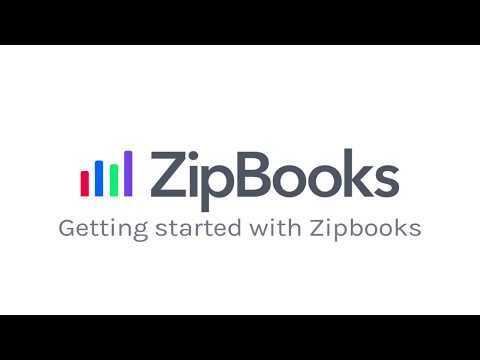 ZipBooks claim you can sync your bank account to add expenses automatically or add a new expense manually by entering the date, amount, vendor, expense category, and the customer you will bill. These details, as well as any notes you make, can be gathered into an invoice when you’re ready to bill a client. Creating estimates to send to clients is very straightforward too. Creating a new estimate is in exactly the same format as creating a new invoice, so if you’ve mastered invoicing, you’ll be able to create estimates very quickly. You can save as many invoices as you like for reference or send them to clients as needed. You can integrate payment from PayPal, Visa, Mastercard and American Express although it does charge a payment fee processing charge. Accepting Visa, Mastercard and PayPal costs 2.9% + $0.30/transaction. However, even if you choose not to use ZipBooks’s payment processing partners, you can still use ZipBooks for free. As the year progresses, you can keep track of your invoicing, income and outgoings via the ZipBooks dashboard. This is useful for reviewing cash flows with simple interactive charts and graphs. There’s also a handy overview of how much you’ve billed specific clients for so you can see at a glance who are your most profitable clients. ZipBooks is definitely worth considering if want something completely free to start with. ZipBooks is ideal for small business owners that need a simple accounting software for Mac that’s easy to use. Even though the basic version is free (apart from the payment processing costs if you choose to use their payment partners) it includes all the essentials you need such as invoicing, time tracking, project and task management and the ability to track expenses and quotes. On the downside, the import and export options are very limited if you’re migrating from another software and currently, all you can do it import CSV files such as invoices. Which Is The Best Accounting Software For Mac? This article is by no means comprehensive is our selection of the best accounting programs on Mac out there but we do think they’re the cream of the crop. For a powerful yet user friendly accounting solution that works both in a browser, on Mac desktops and can connect to your bank, we think QuickBooks Online is still the best Mac users can get. Considering you can currently get 50% off too, QuickBooks is a really good deal. However, if you’re completely new to accounting and don’t need online bank integration, FreshBooks is a very good alternative due to its incredible ease of use, time-saving automation tools and generous features included in all packages at no extra costs. In the past, the problem for Mac users used to be that it was difficult to find accounting software on Mac that measured up to the features found on their Windows equivalents meaning that Mac users had no choice but to run Windows on their machine using software such as Parallels. The good news is that there’s really no need anymore to settle for second rate accounting software that’s simply been poorly ported from Mac to PC. Most of the biggest accounting software developers have woken up to the fact that there are more and more Mac users running small businesses or professional accountants that have switched to Mac. Increasingly too, Windows-based accounting tools are moving online and now work on all platforms such as the excellent user-friendly FreshBooks which now works on Mac and also makes it easy to work with colleagues and accountants on PC. So there’s now plenty of choice on macOS but there are still some important issues you should be aware of before deciding which accounting program is best for you. Nowadays you’ll find that there is plenty of accounting software out there which claims to be “for Mac” but in reality is Cloud based and works via a web browser. Although there’s nothing wrong with this (and Cloud software even offers several advantages over desktop software) it’s important to understand that they usually don’t have a Mac desktop app or client. A rare exception to this is QuickBooks Online which allows you to use it both in a browser or via desktop app on your Mac. One of the biggest advantages of Cloud software is that it works on any device – so it doesn’t matter if you switch between Mac and Windows – and it doesn’t require software updates or any maintenance. The biggest disadvantage of online accounting apps is that they usually require a monthly subscription rather than a one-off fee although if you add-up the number of upgrade costs when new versions of desktop software are released, you may find that the difference isn’t that big in the long run. In this roundup, we’ve reviewed both desktop and online accounting tools so that you can choose which one is best for you. If you need to give an accountant access to your accounts or share them with colleagues, then ideally they should also be working on a Mac. However, this isn’t an issue with Cloud based software such as FreshBooks, QuickBooks Online or Xero which allow you to easily invite accountants to access your data file no matter what platform they’re working on. If you use any CRM platforms or project management tools on your Mac, it’s useful to check whether the accounting software you choose is compatible with it. This is particularly important for growing businesses to make life easier or if you intend on using your app closely alongside other apps installed on your Mac. Apart from CRM apps, you may also want to check whether the software integrates with note taking and productivity apps such as Evernote or one of the many excellent OneNote alternatives for Mac to make life easier. Any business application such as accounting software needs good customer support because when things go wrong, the consequences can be disastrous or extremely stressful for you and your business. Things to look for are whether the developer offers 24/7 support, type of support such as email, phone, live chat, premium support etc. Also useful are forums on the developer site where you can often get quick answers from other users about problems or issues you may be having. Most developers limit the amount of users that can be using accounting software at one time or charge for each extra user you want added. Some don’t even support more than one user editing a file or account at one time. If you’re going to be collaborating with other users, make sure there are no such limits and check exactly what a license entitles you to. In this respect, Cloud software is often advantageous if large numbers of people are going to be editing the accounts. Not all accounting software handles payroll processing on Mac but that is now changing. For example QuickBooks now offers a robust integrated Payroll add-on in the form of QuickBooks Payroll (costs extra). Traditionally, accounting apps don’t handle payroll very well due to forever changing tax rules in different States and geographical regions but more apps are starting to offer it. For more, check out our guide to the best payroll software for Mac users. We hope this article has helped you choose the right Mac bookkeeping software for your business but if you have any questions, problems or suggestions related to accounting tools on macOS, let us know in the comments below. I am using Slickpie(www.slickpie.com) free accounting software for 8 months now and currently I do not see any reason why I change. Great solution for my business. Easy to use and Super easy to learn. I can create and exports, invoice online very easily. Once an invoice, send, I can track it or send automated payment reminders and follow-ups. The software is intuitive enough to start right away generating invoices. I wantb to send reports to Microsoft Excel in the CSV format. Which accounting program ids the best. Thank you. You’ll find that almost all accounting applications export to CSV as a standard feature so any of them will do.